Think your gondola location has the best view? The folks at Gig Harbor Gondola might have one better. Imagine rowing with Mt. Rainier in the background. 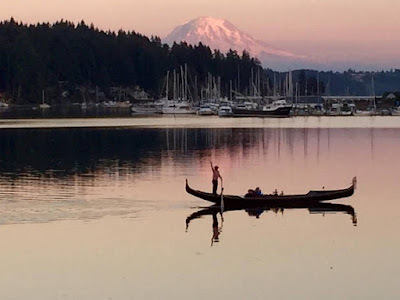 Here's a nice shot taken from the Gig Harbor waterfront. Many thanks to Janet Halseth Perry for this great image. Now THAT'S a Vending Machine!